Now you don’t need to choose between enjoying great weather and watching the game! If you are looking to update your outdoor space, be sure to check out SunBriteTV – Veranda Series – 55″ Class LED – Outdoor – Full Shade – 2160p – 4K Ultra HD TV at BestBuy.com. 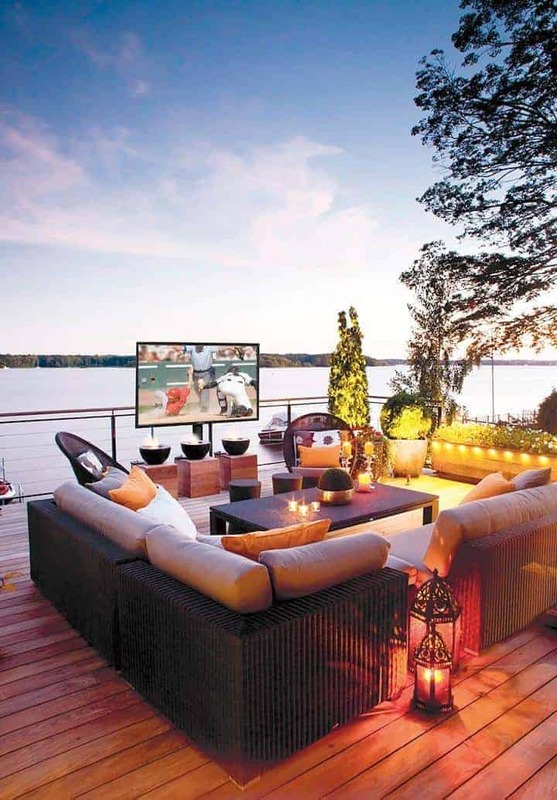 Creating an outdoor home theater is the most affordable room addition you can make, Where better to watch sports, action movies, or anything else than right in your backyard? You can grill up some food, take in some vitamin D from the rays, and just get some additional hours outdoors which for me always seems to improve my mood. You can easily create a DIY home theater with the help of SunBriteTv. It’s a fact that indoor TVs don’t do well outside, and there are thousands of sad and costly stories that back this up. SunBriteTvs are true, made-for-the-outdoors products. The result of this are TVs that are more durable, safer, and higher performing than when an indoor TV is brought outdoors. An outdoor TV will add fun and entertainment to your backyard. There are endless possibilities with it…. For me it will totally transform the experience of my next viewing parties, not just for sports but for awards shows and more. Movie night under the stars sounds fantastic too, something my entire family can get into. Then of course there’s the instructional videos on anything from sports to grilling. I’m hoping that having a SunBrite TV in the back will inspire my husband to make the rest of the backyard nicer….maybe by watching some how-to vids on the TV out there. Wishful thinking yes, but I think I’m onto something here! Easily connect your digital camera or other USB device to view compatible JPEG files.